At some of the world’s largest corporations, we have developed sampling techniques and methods for the predictive modeling of sales and demand, optimization of logistics, and have designed and implemented studies using cutting edge network analysis to model behaviors. We have also developed feasibility studies, use cases, and solutions for the implementation of deep learning models, GPU computing, artificial intelligence, and Data and Analytics bots. Our faculty members are experts in data science with over 40 years of accumulated research, teaching and consulting experience in data analytics. Extensive experience enabling the capabilities of basics and advanced business analytics for management and technical staff of major corporations. Our clients range from Government Entities, Private Companies, major universities and conferences in the U.S. with custom designed data science curriculums that harness decades of corporate and academic teaching and consulting experience, which allows us to communicate effectively with our diverse audience thru interactive onsite and offsite classroom teaching. 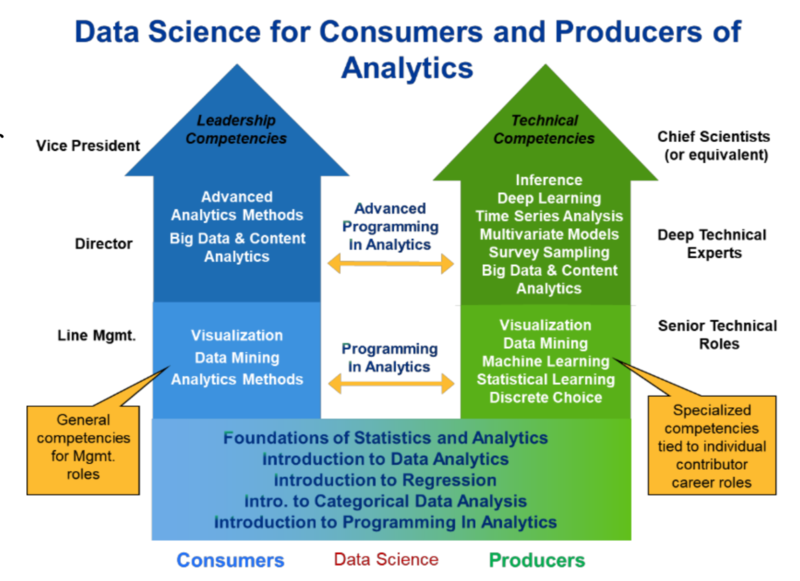 Provide a set of core analytics courses for both consumers and producers of analytics. Offer different sets of courses with content pertinent to either consumers or producers to take. Both paths can be customized to meet organizational needs. Our principal resources are leading experts in business analytics and recognized internationally for their research, teaching, and practices in data science. Their consulting experience with various government agencies; knowledge of teaching thru years of active engagement in academic institutions and conferences; as well as their pragmatic real-life involvement in comprehensive corporate curriculum development put dMining Technology in the best position to re-purpose its existing modules to a customized organizational learning program to maximize content delivery at an affordable cost. Many of our teaching modules were developed for business organizations and government agencies that have audience of diverse background. Beginner modules cover materials essential to data science. They provide the foundation in statistics and basic concepts in data analysis and statistical modeling. Intermediate class sessions equip audience with data visualization concepts and methods; provide basic concepts in data mining, machine learning, statistical learning, as well as analytics concepts and methods related to content or non-traditional unstructured data. 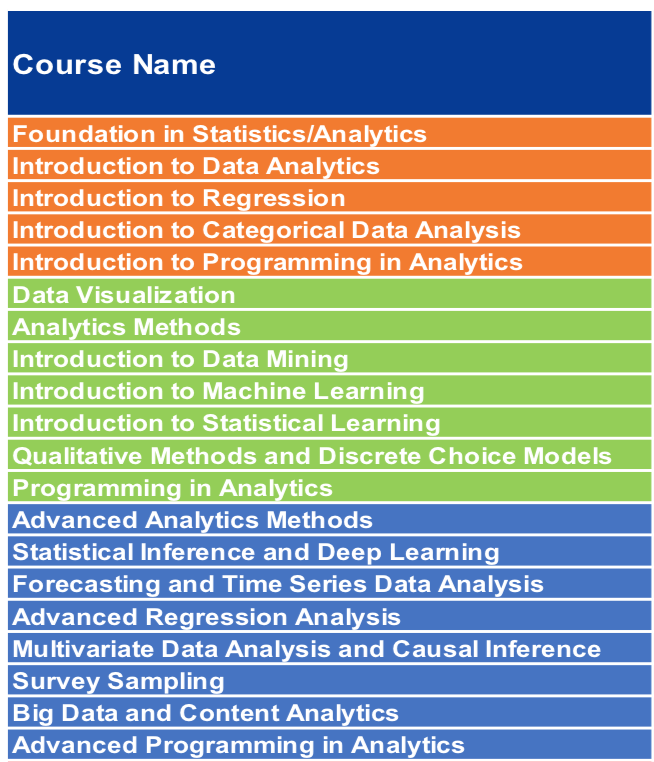 Advanced modules were intended for audience who has received basic and intermediate training in statistics/analytics. These advanced class sessions provide participants a good understanding of the risks, cost and benefits, and the inter-relation associated with the recommended policies. We will employ scenarios and datasets from a fictional technology company for demonstrations throughout the class sessions. 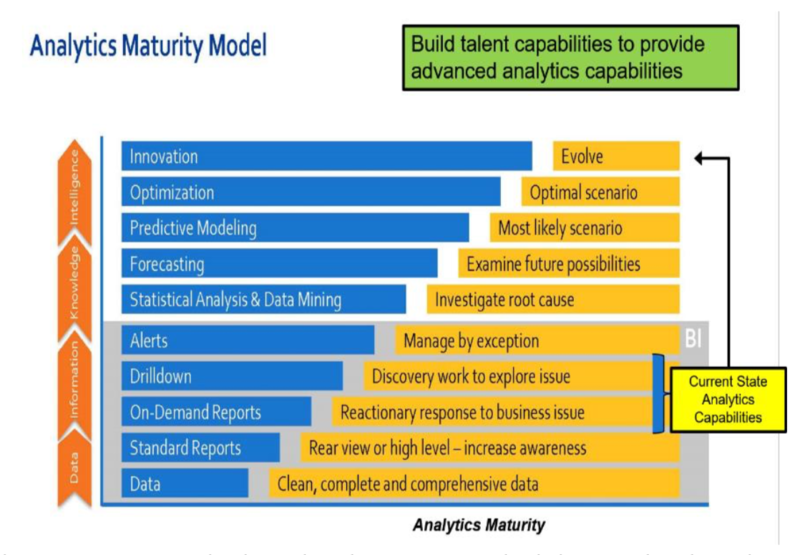 Participants will use these datasets to discover insights to support critical business decisions and develop data products to transform the business. The materials will be presented through a sequence of brief lectures, interactive demonstrations, extensive hands-on exercises, and discussions. 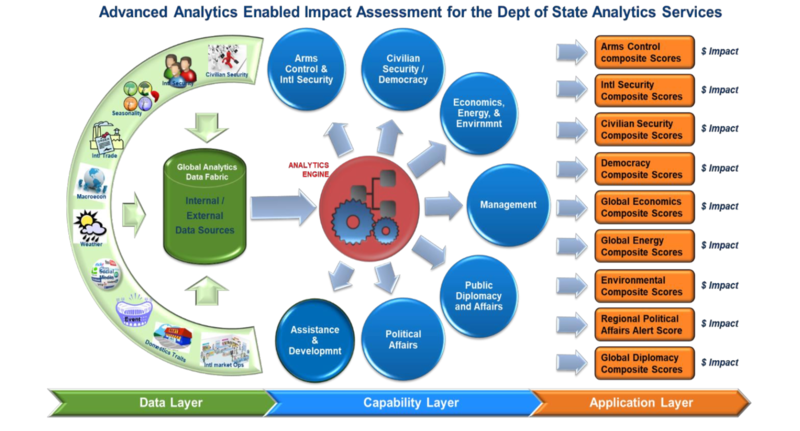 The illustrations of data analysis and visualization will be based on software of choice (Microsoft Excel, Python, R, or SAS) under the dMT Data Science Workbench (CDSW) environment. 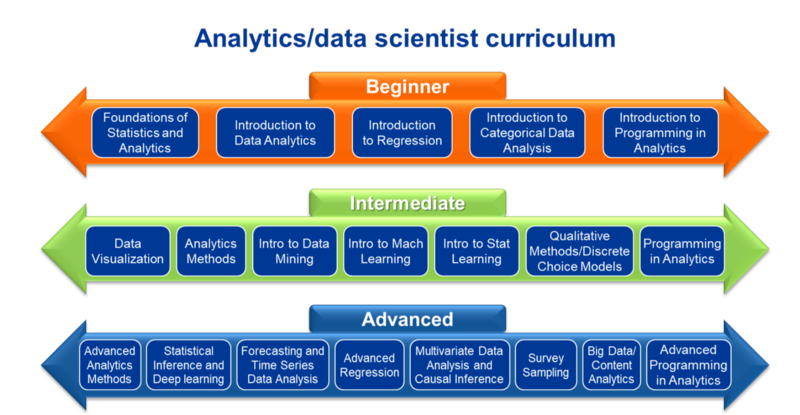 dMining Technology also offers three levels of programming classes in either SAS, R, or Python for Analytics. Participants can use software of their choice to perform exercises during the class period. Participants can provide their own data to share with the class for interactive guided analysis. Data Scientist Training helps establish you as a leader in the field and allows you to gain proficiency in today's most in-demand skills. Want us to Teach you? dMT’s expertise centers around building interfaces for Artificial Intelligence, Machine Learning Platforms, Mining of Big Data and much more.